Antique Two green bowl wines. 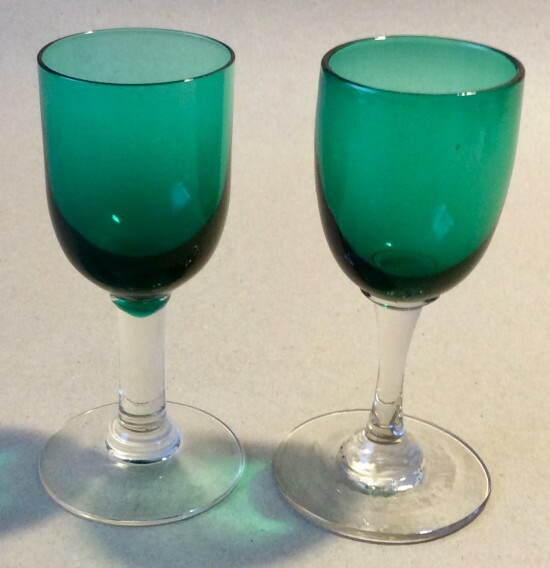 Description: Two green wine glasses with plain stems and feet. One c1900 with thicker foot, the other later c1920 on thicker stem and thinner shaped foot. Dimensions: 11.3cm high, 4.5cm diam bowl.